Welcome to the third in a series of five posts care of Heineken USA via Kayla at The Brand Action Team (connect with her here). Full Disclosure: I was provided with two (2) of each sample with the exception one can of Dos-A-Rita. The Desperados comes in a clear bottle. This new beverage is a blend of Dos Equis Lager with 100% agave nectar and margarita flavors. The appearance is very similar to Dos Equis Lager at first glance, though the carbonation is significantly more on the pour and then less, with the remaining tiny bubbles running up the side of the glass. Most likely this can be attributed to the other ingredients (natural flavors) in the beverage. Lemon/lime up front, with a hint of some lager essence of biscuitiness/breadiness and a hint of earthy/mossy notes. The agave nectar’s sweetness hits pretty hard, but is immediately followed up by lime flavor sans acid, followed by lemon, and then a hint of lemon/lime peel. Bubbles from the carbonation are definitely tighter than other Mexican lagers. The advice to serve this on ice would definitely prevent some of the peel taste, providing a more balanced and refreshing taste and finish most likely. Like the Radler, this would be appropriate pool-side, at the beach, or on the patio. 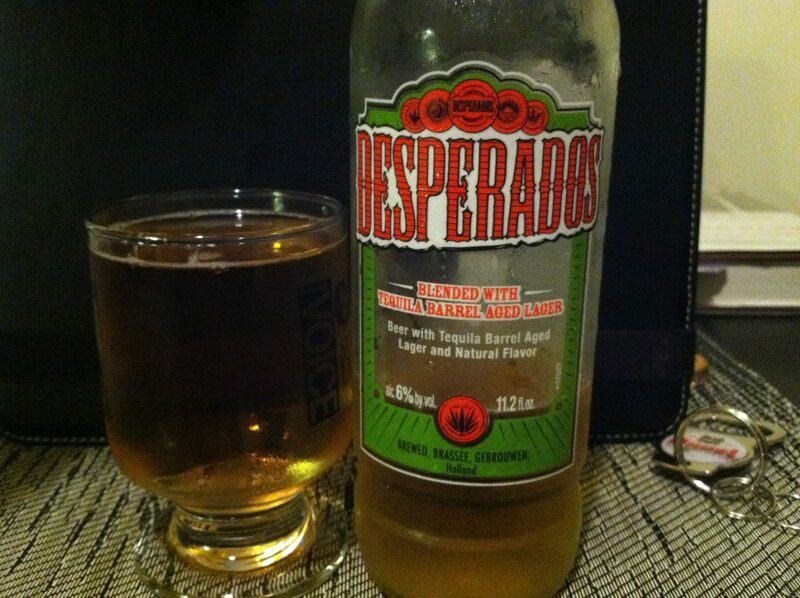 As I stated in my video, the Desperados is an interesting beverage. I am not sure if the natural flavors or something else did not agree with my palate, as I think the concept of a barrel-aged lager is intriguing. If you like Mexican lagers, you might not appreciate barrel-aging. Some might use this just like the Dos-A-Rita to use it as a base for other cocktails. 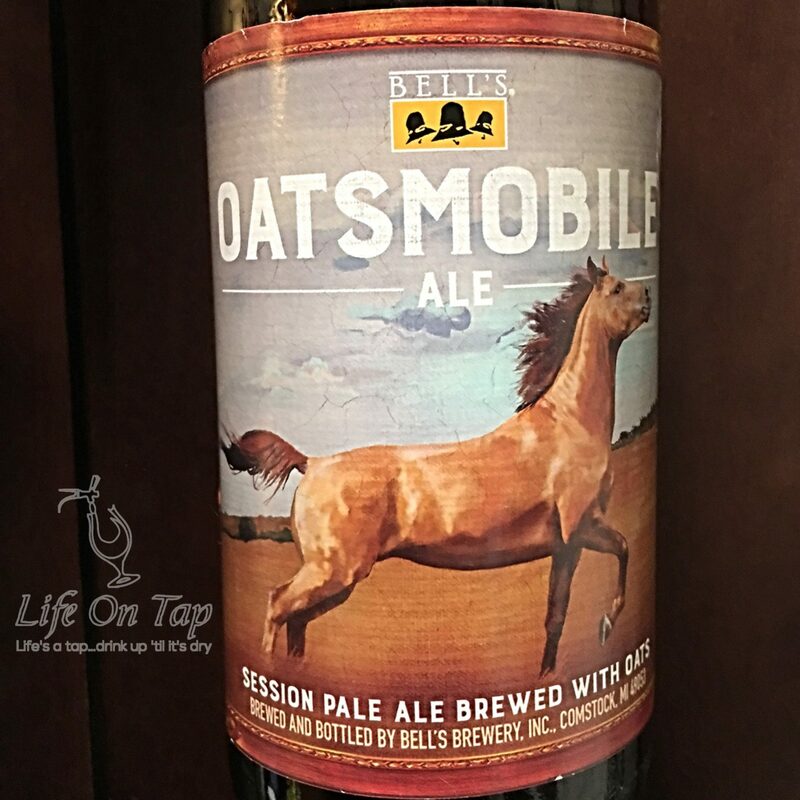 I would have liked to have tasted the base beer before and after aging, as I would have better understood the process and its intended results.